If you haven't read any of Maria V Snyder's works yet- my only question is, why not? 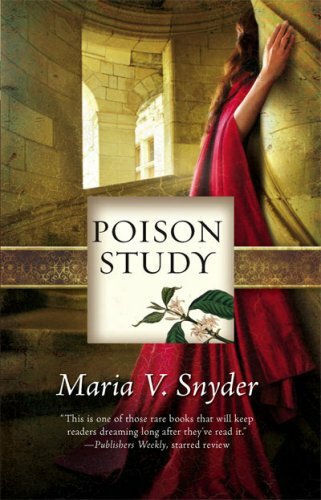 Poison Study is a phenomenal book. Yelena is offered a chance to escape execution by becoming a food tester for the Commander of Ixia (her country). With magic, a slow building love story, and lots of action- this is a book that will remain in my top 5 list of best fantasy books. Yelena's story is hard to forget and an action-packed read. 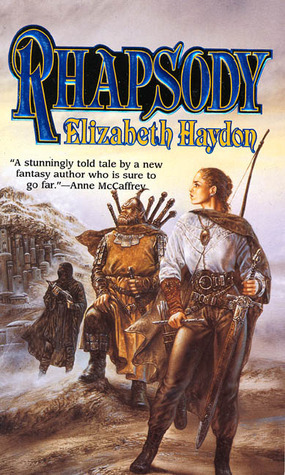 I had a little trouble narrowing this one day -- at first glance, I didn't think I read much high fantasy, and then I realized: um, yes, yes I do. 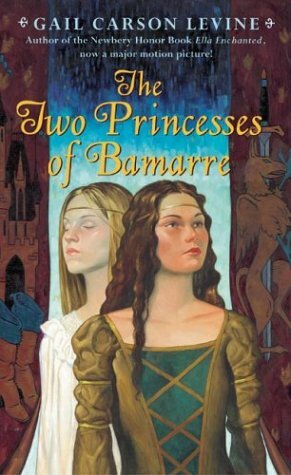 But after deliberation, I decided to go with The Two Princesses of Bamarre by Gail Carson Levine. I read this when it first came out, and loved it. The relationship between the two Princesses -- two sisters -- is beautiful, that's the kind of sister I always wanted. There's a sweet romance too. One of the things I like best about The Two Princesses, other than the story itself (duh), is that the world does not take over. Sometimes, the created world is SO in-depth that it becomes the story, and the actual characters and plot get lost. Not so here, and the effect is delightful. It's actually what made me a fan of Levine. Some experiences are universal and despite the fact that Elisa's world is so different than mine, I could empathize with her feelings and fears about living up to others expectations. Of course, I've never been the younger daughter of a king and I've never been married off to a complete stranger as part of a peace agreement. And, last time I checked my naval, I don't have a warm Godstone embedded in my belly button. I'm especially glad about this last part because those blessed (cursed?) with Godstones are chosen to perform a Service, the result being... they tend to die young. I loved this debut novel by Rae Carson. I can't wait to see what happens in the rest of the trilogy. I haven't read much high fantasy to be honest! But what I have read I love! 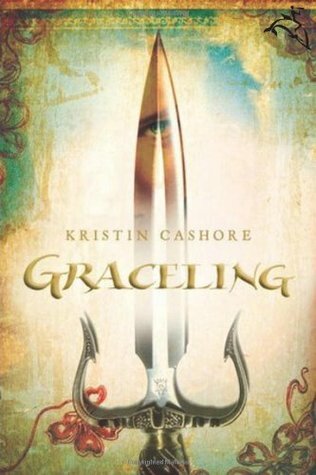 I have many that I like, but right now I am a huge fan of Graceling by Kristen Cashore! I love the character of Katsa, she is a strong female lead, who has a head on her shoulders and her feet on the ground. The world Kristen Cashore creates is just so beautiful! For me, The Chronicles of Narnia is a classic. You fall in love with it when you're little & it stays a favorite for years & years to come. 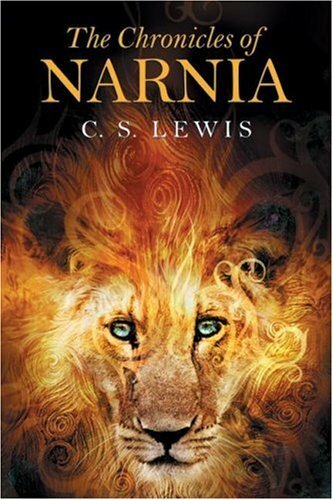 I can still remember the first time I read Narnia. It's one of those nostalgic things. It's a book I can always escape into. I don't really think I need to say more on this one. To begin with, there were multiple plots intricately woven together. 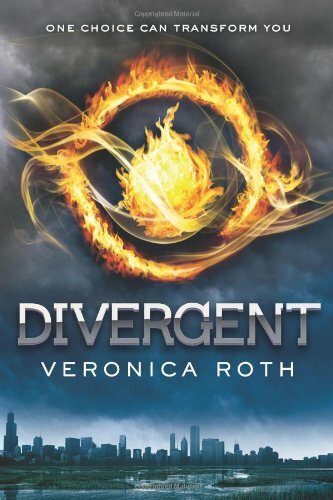 It was amazing to read the same story told from several characters' points of view AND still be able to find the depth in each individual character. Furthermore, I'm a huge fantasy fan; I can't even pretend like I'm not. With that being said, it's no surprise that I was drawn to the magical/fantasy elements in this book. 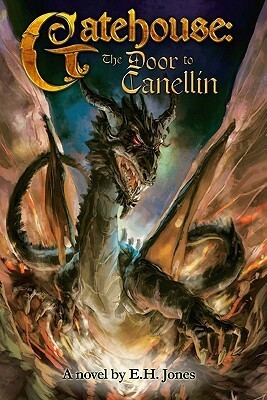 What fantasy fan can resist a maniacal dragon, wizards, and double crossing dragon warriors? Not to mention a Black Knight worthy of Arthurian legend (definitely some similarities there) and a lovable and honorable thief, named Elarie. Oh, and there is Jiane-- a completely rockin' swordsWOMAN that can best the top blademasters. The Door to Canellin is high fantasy at its absolute BEST. I was sucked into the story before I could finish the first chapter, and I’m certain every reader will be too! It took me a while to figure out exactly what high fantasy to be honest (here's a clue: I haven't read Lord of the Rings or Game of Thrones, 'nough said). And then I realized I don't read very much of it. 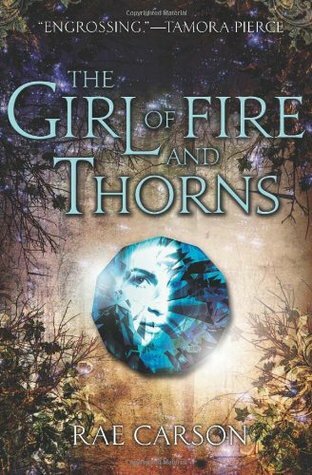 I've been on that YA paranormal romance kick for a while now, but when I received a review copy of a YA novel called The Girl of Fire and Thorns, I was very intrigued. This book is my best example of fantasy. It takes place on what I assume is a completely different world. I can't be sure, because there are a few hints that maybe it's a dystopian instead of a fantasy, but it never seemed that way to me. I was completely taken in by this new world. The author paints such a beautiful story landscape, with intrigue and deception, love and lust, kidnappings and death, and an unimaginable war. Elisa, the main character, is much stronger by the end and learns so much and grows into her own, unlike many of the YA characters of late. I think I might try to find more YA fantasy novels now, after reading this book. The Girl of Fire and Thorns was on my Top Ten YA of 2011, and it's the best fantasy book I've had the pleasure of reading. Finally, an easy one! 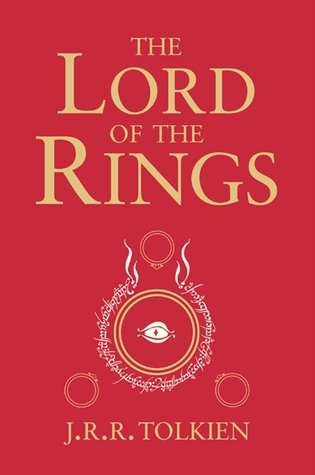 My pick for best epic fantasy has to be The Lord of the Rings. The trilogy became the template for the subgenre, for better or worse, and it was the first book I encountered that actually created an entire world in my imagination, one with its own rich and extensive history and mythology. I expect most people already have a passing familiarity with the story by now, at least through the movies, but if you haven’t read it yet, give it a try. Of course it isn’t for everyone—it isn’t always an easy read—but the story has added depth on the page and nuances that couldn’t translate to the screen, and you’ll reap vast rewards for your effort. Plus, there’s like a whole alternate ending to the one you saw in the films! And the best thing is, if you fall in love with the world building, there are more than a dozen books of additional stories and history for you to nerd out over. I was lucky enough to get to read Rae Carson's THE GIRL OF FIRE AND THORNS in a couple different incarnations, once as a crit partner and once as a reader of the final book. And this books is just . . . epic. Sweeping. Incredible. I love Elisa and her journey. I love the world she lives in. I'm so excited for the sequels I can hardly wait! As always, we would love to hear what you think below! I didn't even think of The Girl of Fire and Thorns and the Chronicles of Narnia! I loved those two as well! The Girl of Fire and Thorns has been on my shelf for a few months now -- may have to pick it up soon, it's getting so many votes :o) I also need to pick up Graceling! I don't know how I miss seeing these books around. I have the whole Chronicles of Narnia but somehow haven't read them yet but I know I will one day. I also really need to read The Girl of Fire and Thorns. I guess I am just a slow reader but I will catch up lol. Oh and LoTR is the best trilogy ever written/made into movies. It still amazes me the world Tolkien created with all those creatures, names, places, etc. Absolutely amazing.